A swimmer in the northeastern United States has died from an apparent shark bite, according to a police report on the rare incident. 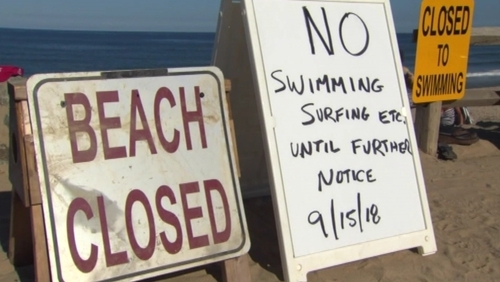 The victim, in his mid-20s, "was bitten by what is believed to be a shark" while he swam at Newcomb Hollow Beach in the Cape Cod area of Massachusetts, Wellfleet Police said in a statement. He was pulled from the water and taken to hospital by firefighters but died from his injuries, the police said. They did not release the victim's name. "The town beaches are closed to swimming for the next 24 hours," the police said. If confirmed as a shark attack, it would be the first death caused by a shark in Massachusetts since 1936, according tosharkattackdata.com, an online database. In August, a New York man was bitten by a shark at another Cape Cod beach but survived the encounter, according to media reports.